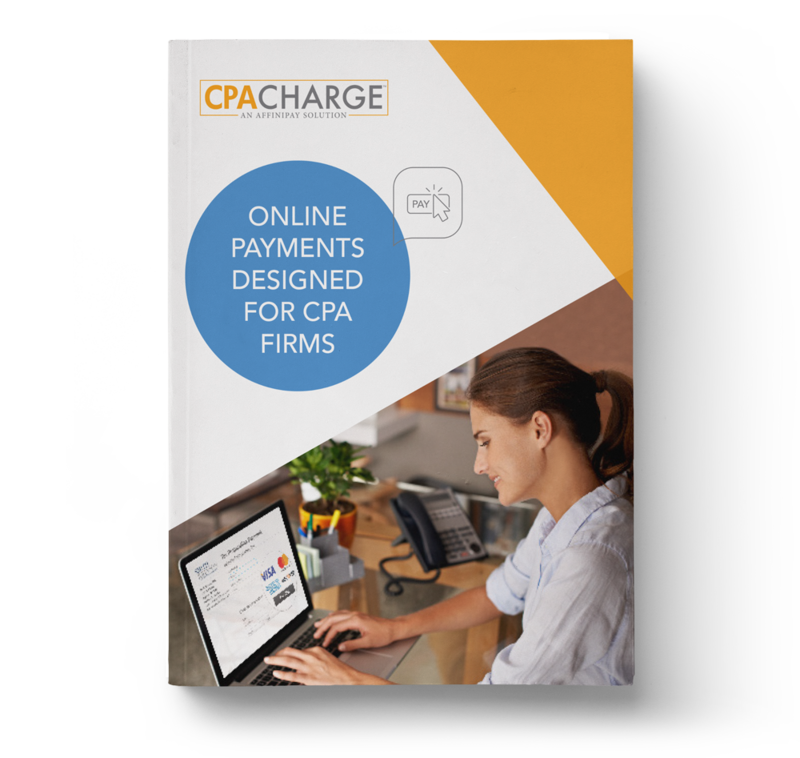 CPACharge is an online payment solution developed specifically for CPA firms, giving you a professional way to accept credit, debit, and ACH payments in your office or online, with no equipment or swipe required. Our technology lets you give your clients the convenient payment options they want, while you get 100 percent of your payments deposited into your bank account, for easy, accurate reconciliation. Download the solution brochure to learn more about the payment solution that's trusted by more than 50,000 professionals and a growing number of CPA societies—CPACharge. CPACharge is a registered agent of Wells Fargo Bank N.A., Concord, CA and Citizens Bank, N.A., Providence RI.